Hear in the words of one business person the value of taking the time to find the right people and coaching them so they succeed. Picture for a moment the conductor of a symphony orchestra, baton in hand. The conductor leads by guiding the performance of the individual musicians and blending their efforts to produce a beautiful sound that’s pleasing to the audience. A conductor does not play any of the instruments, even though most conductors are gifted musicians in their own right. A conductor also does not hover over any of the musicians while they’re performing, nor does he or she tell them which notes to play. 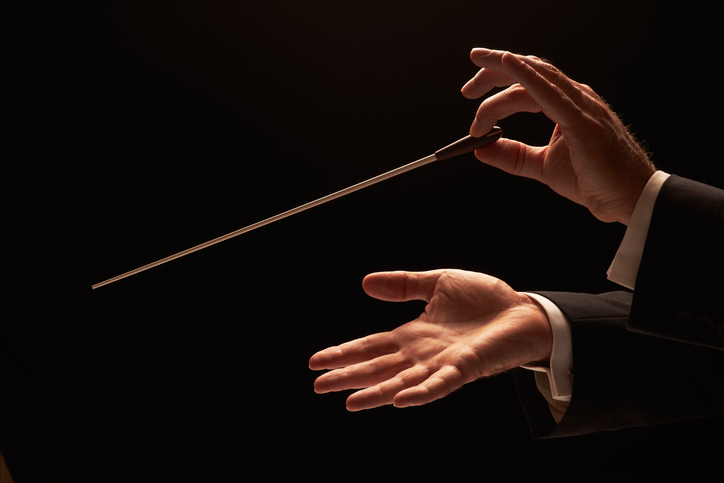 The conductor trusts the musicians to do their jobs, and do them well. Otherwise, the performers wouldn’t be on stage in the first place. Any conductor who did not do a good job of selecting the orchestra’s musicians and providing them with the right guidance and feedback wouldn’t have a job themselves for very long. It’s why the hiring and coaching process is so important for any leader who believes in hands-off management. In a sense, an orchestra conductor becomes the ultimate hands-off leader once his or her ensemble of musicians is performing. In the workplace, most managers can choose how tightly or loosely they’ll hold the reins on the people they lead as they go about their jobs. I believe wise leaders hold the reins as loosely as possible and let their colleagues run with their jobs. So does my friend Rod Dennison, whom I introduced in my previous post. Rod is a successful small business owner in suburban Cleveland whose companies have performed apartment painting and insurance restoration services. Rod’s main painting business has grown over time to include an operation in Nashville. Rod subscribes to the theory that managers who manage least, manage best. I asked Rod to share how and why that philosophy has worked for him. When I first went into business a couple of years after college, I quickly learned that it would be impossible for me to grow at the pace and direction that I was expecting my company to be headed with the negatives I was seeing in my newly hired employees. Workers came into the company with different levels of experience, and many had dependability and reliability problems. I noticed that the top producers were self-starters and what I consider to be good company employees. They worked to do the job right with good production, and they also worked well with others. I also noticed they stood out because I didn’t need to watch over them like I needed to do with many of the other workers. They just did their jobs well, which made them unnoticed because I didn’t need to give them constant attention regarding their job performance. About that time I remembered something I had heard one of my fraternity brothers in college say while he was addressing our members at a chapter meeting: “Managers that manage least, manage best.” Remembering those words, I realized I needed to do better in the hiring and training process. I knew that I needed to look for potential workers who were possible self-starters. Workers more concerned about the job they were doing and not the subpar job that other workers may be doing. From that point, I felt that it was extremely necessary for me to give the time needed to train each new worker exactly with what I would expect them to do in their job so that they would be successful doing the job our company needed them to do. I wanted each worker to have confidence in themselves, to know they have the ability to do that job correctly and not feel like management is looking over their shoulder checking up on them constantly. I didn’t want workers to be nervous about anything regarding their job or the company. The results have been extremely good for me and three companies that I have owned in the past nearly 40 years. I have been able to concentrate on my duties because I knew my workers were concentrating on theirs. Rod obviously is just a sample of one. However, I’ve talked to enough friends who have worked for micromanagers to know that most don’t enjoy the experience. They feel stifled and confined, like dogs wearing a choker collar. Word gets around about which workplaces are rewarding and enjoyable and which ones are not. Your leadership style will go a long way toward determining which side of that ledger your organization finds itself, so make wise choices in how you lead. Do you have thoughts about this column or a subject you’d like Mark to tackle in a future column? Leave a comment or e-mail him at mark.dodosh@gmail.com.